Edited by Lisa Dennison and Nancy Spector. Contributions by Rolf Breuer and Thomas Krens. Lawrence Weiner, the American pioneer of Conceptual Art, has extended the notion of sculpture: language is his medium; text his sculpture. According to Weiner, it is of no importance as to whether a work of art or an installation is actually realized; it is entirely up to the reader of a text whether and how he will visualize the work in his head. Since 1968, Weiner has been publishing his language works also in book form. 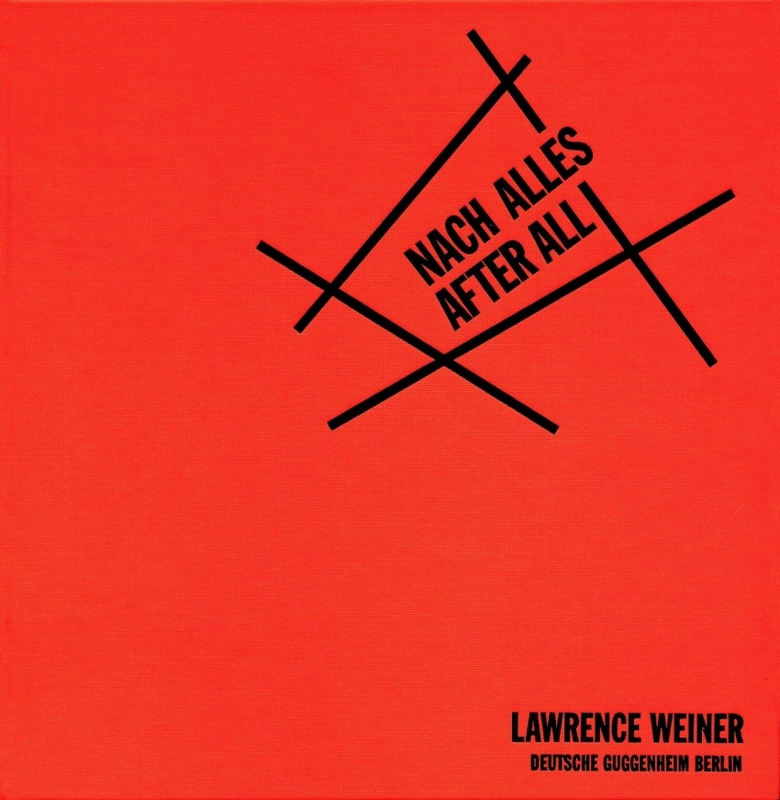 The artist's book NACH ALLES/AFTER ALL is a work commissioned by the Deutsche Guggenheim Berlin and features drawings, texts and plans for an installation consisting mainly of dual language inscriptions on exhibition walls. In it, Weiner explicitly refers to the naturalist and explorer Alexander von Humboldt and his endeavour to describe and categorize the whole world. NACH ALLES/AFTER ALL is dedicated to the exploration of microcosm and macrocosm alike and owes much to the broad exploratory approach used by Humboldt. Beyond that, however, - emphasized by the conscious divergence of 'NACH ALLES' as opposed to 'allem' - Weiner also deals with the question of what might remain after all these materials have been accumulated.